By encouraging root growth in your lawn, water is necessary to get into the deep roots below the surface of the soil. What can happen if watering is at a halt? Weed germination and grass plant roots will grow shallow and will be prone to specific diseases. The roots are the main zoning area that needs constant water. There are many elements as to what type of grass should be watered more than others. For one, there is the climate you live in. Also, with humidity and wind factors, plus the temperature, your lawn can be affected tremendously. Caring for your lawn is more of a contribution to a healthy ecosystem around your home and your environment. Helping your lawn look green as can be is absolutely necessary to keeping it healthy. 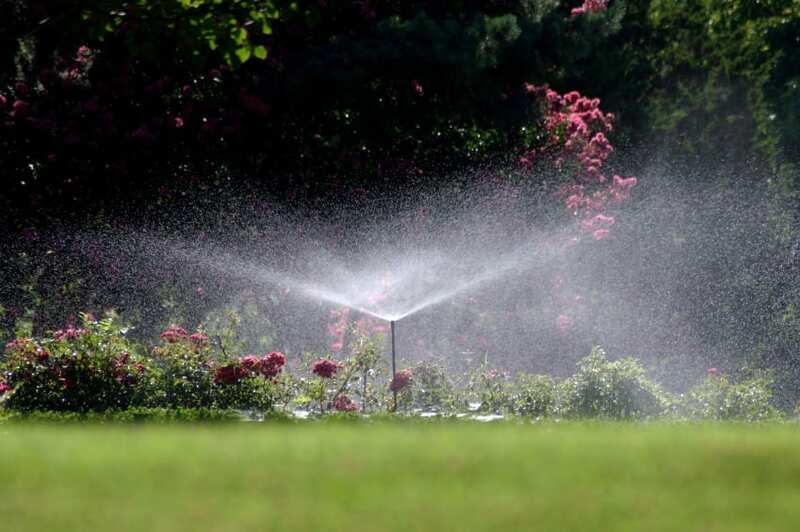 Follow these 4 tips for watering your lawn in the summer. First of all, homeowners with lawns that need that tender loving care normally will get it periodically; sometimes only when it rains. So with that in mind, the first tip for watering lawn in the summer is saving barrels of rain water. By utilizing the natural resources our Earth hands us from time to time, taking advantage of it would be ideal for those conserving water for their lawn care. Not only is it great for your yard, its free! Plus, keeping buckets or barrels of rain water will undoubtedly help your water bill at month’s end during, especially during the summer. Second, planting and maintaining shrubs that require less water or none at all can benefit those who are drought season, or need to use less watering requirements. The Aloe Vera plant, for instance, is a plant that requires low water maintenance. So having plants or shrubs with low watering will tend to survive in hotter and warmer conditions. Another flower that requires little water is purple sage. The purple sage flower is known to grow in Texas. It is called the silverleaf or Texas ranger; other names are also white sage, or ash bush. Thirdly, be on the look-out for little pond formations around your yard. Adding more top soil can help area. You should aerate your lawn after the rain subsides. Then you’ll be able to see if puddles or small little ponds form. If so, add more top soil in those areas. Finally, the fourth tip is using fertilizer and mulch around your garden. Flower beds can actually help your lawns from getting eroded. Flower beds can be contained in some of the flowers. In the summer time, taking care of your lawn needs with the right amount of care will enforce a good healthy lawn. Consequently, using composts and mulch will contain the water within it for long periods of time thereby needing less water. It will also help the surrounding soil around it.